What is Lumion to Revit professional users? Further down is the quote you may want to read and the video proof you do want to watch. Here you find how you export revit to Collada with Lumion 3D rendering software. Lumion is a visualization and rendering software for industry and architecture, perfectly matched with Revit. With our free Revit to Collada Exporter your import to Lumion take seconds. Lumion has over 2000 models, materials and textures easily applied to enhance your scene and models. Water, sky and animated foliage and models of high quality makes the scene come to life in minutes. 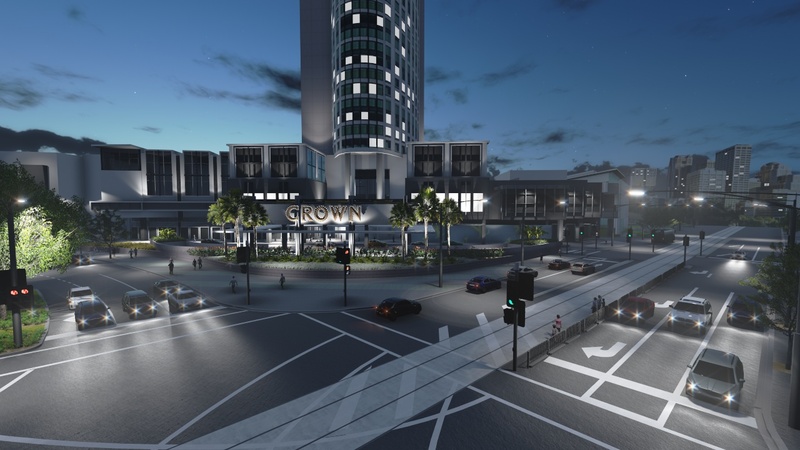 Lumion handles million big polygon models, and can give live walk-throughs in gigantic cityscapes and renders high quality movies up 2560×1440 resolution. Lumion is so fast and quick to learn that some say it feels like cheating. Lumion Pro has it all. High quality models, teamwork functionalities, share scenes with co-workers and send scenes to clients for live fly-throughs of the project. Including clients and co-workers in the project is smooth and improves the end result. Lumion Ultimate was the previous top line product and is for sale until June 2012. Ultimate do not include the teamwork and scene view mode as Pro. Read the specifications here. Lumion® is released in June 2012. "We in the Lumion team reach out a hand to Revit professionals, to improve businesses and present a new work method for visualizations in a faster and easier way." - Ferry Marcellis, CEO of Lumion / ACT-3D B.V. I was initially blown away by Lumion since as a Revit user, actually being able to instantly see all of my materials (and now lighting) was a Godsend! Another thing is the Revit vegetation and entourage (people, cars, etc.) are not good. The plants and trees are poor. We would use photoshop to add trees and people after the Revit render was complete. Lumion has opened a whole new world to us in the form of animations. I have never actually considered making a Revit walkthrough since I knew how long it would take to get a somewhat decent result. The Revit to Lumion Collada exporter is to my knowledge the only free Revit third-party exporter. With the exporter, I no longer have to use Max as an intermediate tool. All the complication is removed with Lumion. As an architecture firm, in the end we need to produce drawings to give to a contractor. We use Revit to produce these drawings. Having a tool like Lumion allows us to use Revit for its intended purpose. Additionally, Lumion allows us to very quickly convey design ideas to clients and has dramatically enhanced our presentations, leading to even more work; a blessing in this economy. I've never used this software but I will have to look into it. Thanks! Amazing software, may I ask you if there is any site where we can get FREE components for lumion like furniture, cars, people and so on like we have here in RevitCity? Offering free items is part of the plan Although Lumion does come packing with loads of content as it is.